Fun Pennsylvania is number one resource for romantic day trips in PA! Check out one of these great day trips in Pennsylvania, and enjoy a memorable afternoon with your special someone. 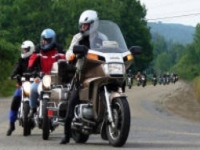 Explore Beautiful Central PA Attractions via Motorbike! Though Canyon Vista Motorcycles caters to group tours, the company would be more than glad to include you and your special someone on one of their fun-filled adventures. With the permission of the group, you can join an already-schedule tour and marvel at some of the most beautiful sights of North Central PA! The knowledgeable and experienced tour director, Bob Williams, will lead you on the adventure. During your tour you'll get travel the winding Allegheny mountain roads, follow the path of beautiful rivers, and drive across historic covered bridges. Browse the website and choose from the selection of wonderful tours. If you like, you can even order a custom tour! Romantic Breaking News for couples! Dutch in PA! 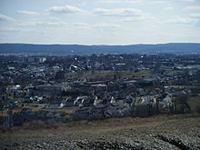 About two hours from Baltimore, such a mind-blowing small PA Dutch town of Kutztown was founded in 1771 by George Kutz and designated the home of PA Dutch crafts. The Kutztown Folk Festival is a well-promoted event that draws enthusiastic crowds. Featured are PA Dutch foods, arts and crafts, quilts, square dancing and an exhibition of the Amish Plain and Fancy Dutch pageantry. PA Dutch hospitality is well known for its traditional family recipes served abundantly in smorgasbord style. Every year this festival occurs from June 30-July 8. 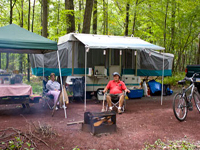 It is opened from 9 a.m. to 6 p.m. Take a short fabulous trip to the Kutztown Folk Festival for folk fun with your special one and enjoy a day trip for couples in PA.
Visit the sweetest place in the world for fun and attractions in Hershey, Pennsylvania. You can make a restless trip with your special one to Hershey, Pennsylvania. To spend some enjoyable moments you are always welcomed to Hershey. So many charming spots are here to observe such as a park, museum, stadium, resort, convention center, wonderful Zoo America etc. Hershey is well known as chocolate town in USA. You can celebrate any occasion or can make private time for someone special with this day trip for couples in Pennsylvania. Sometimes you can enjoy some heart touching concerts in here. If you don't want to waste any single, immediately make a trip to Hershey. Fun With A Fun Zoo! This is a fun zoo for fun couples! If you want to have a fun day trip with your special someone, a fun zoo is always waiting for you in Schnecksville, Pennsylvania. It is a fun wildlife experience you have to see. There are over 250 animals and you can feed and meet them. You can participate with the many attractive events and activities throughout the summer and autumn months. This zoo was awarded for Best Day Trip by The Morning Call's Readers' Choice Awards. So immediately take a short day trip with your special someone to Lehigh Valley Zoo in Pennsylvania. This is a great PA day trip for couples. Sweetest Time With Your Sweetest One! Such a sweet park in Pennsylvania is the Hickory Run State Park! This is a fun day trip for couples in PA. There are so many amenities including a 40 mile hiking trail, picnicking, swimming, golfing, ice skating and more. There are some 26 feet length boulder fields. You can also enjoy the farming and wildlife over here. Hunting opportunities are also available. So don't be late to make a trip with your special one to Hickory Run State Park, Pennsylvania. This park is opened from Monday to Saturday at 7 a.m. to 5 p.m. The park is always ready to welcome you.